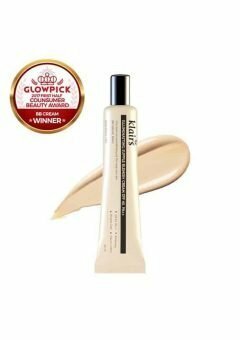 If you have dry skin and if you are thinking of having a foam cleanser; this one is perfect for you. 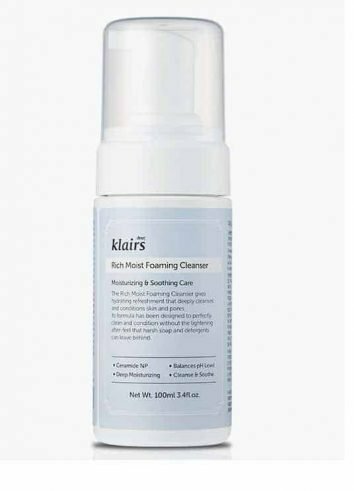 Why is Klairs Rich Moist Foaming Cleanser perfect? 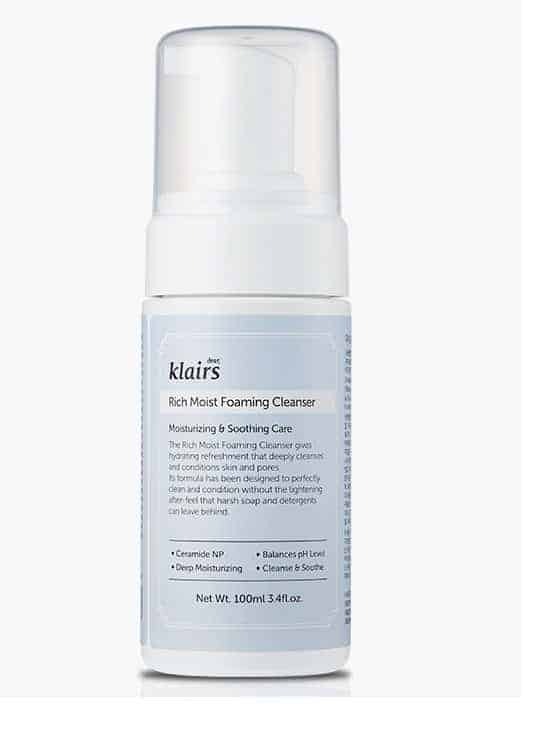 Instead of using chemical detergents (Sodium Lauryl Sulfate, SLS) Klairs Rich Moist Foaming Cleanser is made with an amino acid cleansing formula (the main component of protein)which keeps your skin moisturized while cleansing your pores. This hypoallergenic cleanser contains hyaluronic acid, ceramide 3 and olive oil for softer skin and maximum hydration. 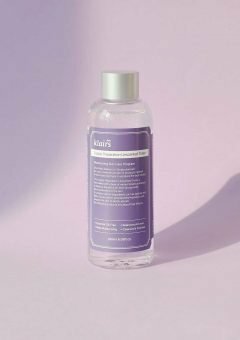 This low irritant amino acid cleanser will change your skin from you moment you start using it! 2. 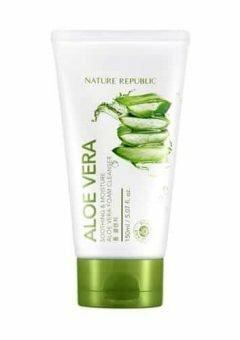 Sensitive skin- No problem!It’s great for sensitive skin too since it contains hyaluronic acid and aloe leaf extract that nourish and calm skin. 3. Acne-prone skin-If you have acne-prone skin, you’ll love the tea tree leaf oil that fights breakouts and helps you achieve clearer skin. #Free from artificial ingredients – no Alcohol, No animal testing, No paraben, No artificial pigment. #Eco-friendly preservatives to reduce sensitiveness to the skin. 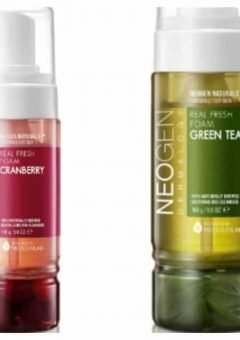 #Hyaluronic Acid and Aloe Vera Leaf Extract – the popular ingredient for perfect hydration and major component of skin, involved in skin cell tissue repair. #Tea Tree Leaf Oil and Houttuynia Cordata Extract Essential ingredient to treat skin trouble. Effective for various dermatologic conditions such as dandruff, acne, lice, herpes and other skin infections and natural ingredient from leaves of the Melaleuca alternifolia tree.